ABOUT 50 Gin Gin State High School students rolled into Brothers Sports Club in a sight of glitz, glamour and fancy cars on Friday night. 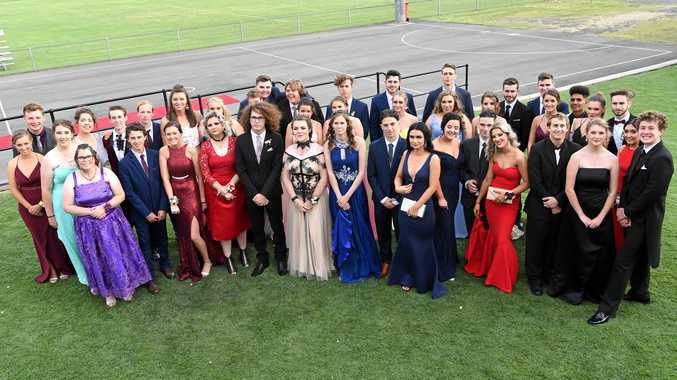 The 2018 Yr 12 graduates swapped out their uniform for dresses and suits for a night of celebration, kicking off the formal season for the Bundaberg region. For Gin Gin student Brooke Snowdon, she took the opportunity to arrive in an Oldmobile that has been in her family for nearly 90 years. She said her great uncle who now has the car drove her to the prom, but it was originally brought in 1929. Miss Snowdon wasn't the only one with an interesting story behind her formal. Ben Robertson wore a red velvet suit which he bought from London.